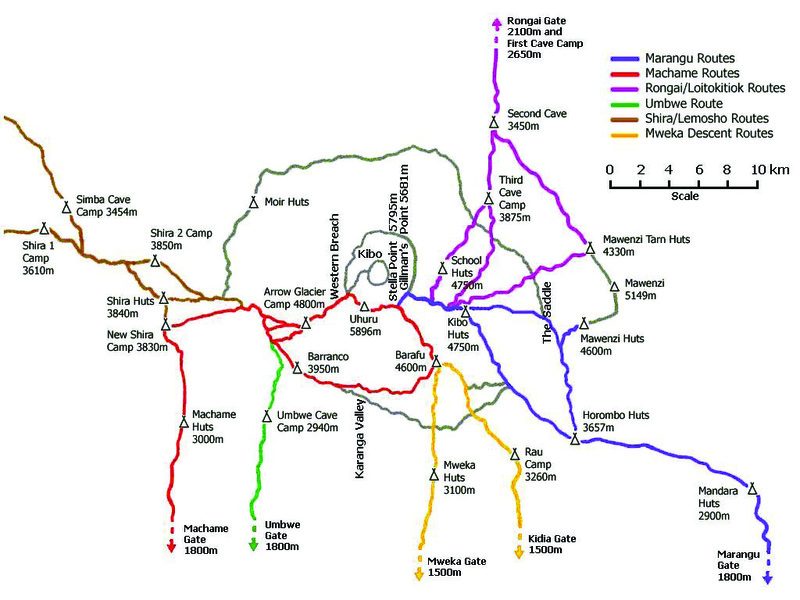 Test yourself on this more challenging but very scenic 8-day trek following the Machame Route to the summit of Mt. Kilimanjaro. Each day, in the company of professional guides, walk and climb through a variety of habitats; forests, moorlands, alpine fields and stone screen before ascending at dawn towards your goal of Uhuru Peak to be rewarded with unprecedented views across Africa. While allowing extra time to acclimatize to the altitude during the first few days, the pace gradually picks up as you take on the more physically challenging walk from Barranco to Barafu and get closer to the ultimate goal, the summit. The final push to Uhuru Peak will be an event like no other as you test yourself against the elements, and if successful in reaching the top of Africa’s tallest mountain, your achievement will be commemorated with a treasured certificate. As you walk each day, there is always a stop for a nourishing packed lunch, and at the end of the day, a welcome sight awaits you - your camp which has been set up by the porters who will have erected your tent prior your arrival, and will have also prepared a delicious dinner. This is the very definition of a challenging adventure! On arrival at Kilimanjaro Airport we meet and transfer you to the town of Moshi and your hotel for the night before ascending Mount Kilimanjaro. Relax and enjoy the hotel’s facilities. Tonight there will be a pre-climb briefing. Following breakfast we transfer you to the Kilimanjaro National Park's entrance at the Machame Gate for the start of your ascent that takes you through mountain forest. Stop en route for a picnic lunch before reaching the Machame camping area in the late afternoon. Hiking time - 7 hours. Distance – approx. 18kms. Habitat – Montane Forest. Departing the camp we climb to the top of the forest following a steep ridge, then through the moorland zone to "picnic rock" for lunch. Upon reaching the Shira Plateau enjoy wonderful views of the Western Breach with its stunning glaciers, before arriving after a short hike at the Shira campsite. Hiking time - 6 hours. Distance – approx. 9 kms. Today's hike takes us through semi desert and the rocky landscape surrounding Lava Tower. After lunch we descend to the Barranco camping area, crossing a river en route. Hiking time - 7 hours. Distance – approx. 15 kms. Habitat - Semi desert. Today make your way along a steep ridge, passing the Great Barranco Wall and through the Karanga Valley, arriving at the camp where you will prepare to climb the summit starting late tonight. Hiking time - 7 hours. Distance – approx. 13 kms. Habitat - Alpine desert. Just at midnight, we set off to Stella Point on the crater rim, the most challenging part of the trip. Weather permitting; watch a magnificent sunrise before continuing to the summit at Uhuru Peak, the highest point in Africa. The balance of the day is spent descending via Barafu to Mweka Camp where a well-earned dinner awaits your triumphant return. 7 to 8 hours descent to Mweka. Distance 7 kms ascent & 23 kms descent. Habitat - Stone scree and ice-capped summit. After a short, scenic hike this morning, we arrive at the Mweka Gate where we exit the Park. Close by at the Mweka village we'll enjoy a delicious hot lunch before driving back to Moshi to overnight at your hotel and savour this once-in-a-lifetime experience. Hiking time - 3 hours. Distance – approx. 15 kms. Habitat – Forest. Today we will transfer you from Moshi back to the Kilimanjaro Airport. PLEASE NOTE: An extra night acclimatization is highly recommended at Karanga Camp on day 5. 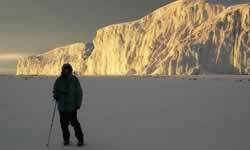 With the extra night to acclimatize to the altitude this will greatly enhance the chances of reaching the summit. Extra acclimatization day on the mountain will be USD $270 per person.